The Network Luncheon with Dr. Christine Horner, M.D. Join us for our monthly meeting with guest speaker, networking, luncheon, table displays, vendors, business introductions, shout outs, door prize drawing, lots of gifts! 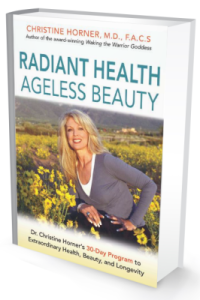 Dr. Horner is a popular radio and television program guest and has appeared on numerous national television shows including The Oprah Winfrey Show, NBC Nightly News with Tom Brokaw, FOX and Friends, CNN, and a Healthy You and Carol Alt. She has also been interviewed by Dr. Oz and Dr. Mercola. In February 1999 Glamour magazine honored her as their “WOW–Woman of the Month.” In 2000 Oprah recognized her as part of her “Angel Network” on her television program. Christine Horner, MD FACS is a nationally recognized surgeon, author, natural health expert and relentless champion for women’s health. She received her medical degree at the University of Cincinnati, completed a general surgery residency at Good Samaritan Hospital in Cincinnati and a Plastic Surgery residency at Indiana University. She and is board certified in both general and plastic surgery. Dr. Horner spearheaded legislation in the 1990s that made it mandatory that insurance companies pay for breast reconstruction following mastectomy. Her 5 years crusade—The Breast Advocacy Project—led to the passage of laws in 35 states and a federal law in 1998. 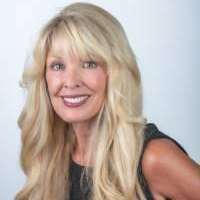 She is the author of the award-winning book, Waking the Warrior Goddess: Dr Christine Horner’s Program to Protect Against and Fight Breast Cancer winner of the Independent Book Publishers Award 2006 for “Best Book in Health, Medicine, and Nutrition.” And the recently released book, Radiant Health, Ageless Beauty. A frequent radio and television show guest, Dr. Horner has been interviewed on FOX national News, CNN, and by Dr. Mercola, and Dr. Oz. Monthly Luncheon with Celebrity Speakers, Women Business Owners, Networking, Introductions, Shout Outs, Announcements, Table Displays, Vendors, Door Prize Drawing, Gifts and more! Step 1. Join Membership here for the Discount. Connect with heart centered Women in Business who are making a difference. Introduce yourself and share about your business. Bring 100 Business Cards & marketing materials for the promotional gift bags. Give a Gift for the drawing for extra exposure for your business.